Published 6/9/2010 . Last updated 5/19/2015 . Nuts. This method will, of course, add some nut flavor. But, if you add enough nuts to really affect the flavor of your baked goods (rather than only in the bites where the nuts are), they will significantly alter the texture of the end product. Nut butter. This option works really well if you have some on hand. Most of us have had some experience with peanut butter cookies, for example. I also love using nut butters for light, fluffy, nutty frostings. Nut extracts and flavorings. The downside of this one is that it is hard to find all-natural extracts. However, if you can find a good one, nut extracts work especially well for giving a nutty kick to a ganache or buttercream frosting. Nut oils. Nut oils enhance the flavor of the cake with the pure oils of the nuts, giving you a huge hit of nut scent and taste. I purchased my pistachio oil from Vom Fass. They have a store really close to my house in St. Louis that lets you bring your own bottle and buy as much oil as you need (there are several cheaper options available , but as I have not tried them, I can’t vouch for their quality). The Vom Fass oil is so strong that you don’t need very much to get an in-your-face pistachio flavor. I’d recommend replacing 1/3 of the fat in your recipe (butter, shortening, vegetable oil, etc.) with the pistachio oil. 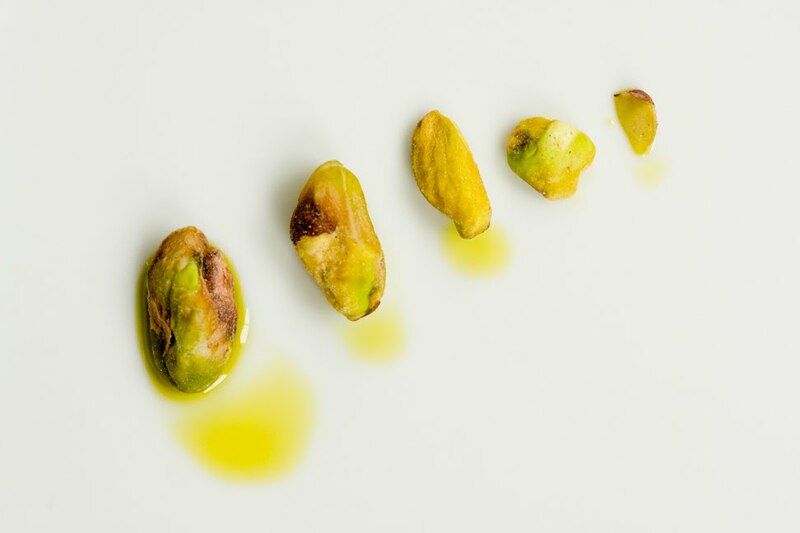 Though I haven’t done so yet, I’d love to drizzle some of my pistachio oil on a salad or over fish. Good thing I have some left over from my pistachio cupcakes!